Flying in a wind tunnel is a unique experience in a safe environment without having to jump out of an airplane. This is a safe way to fulfill humanity’s oldest dream; to fly. 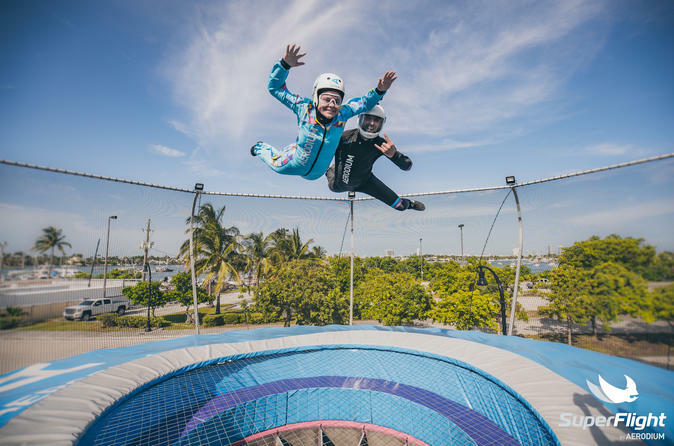 The wind tunnel generates over 120 mile per hour winds so you can float and fly like a bird up to 10 feet high, with the guidance of an instructor. Anyone can participate as no previous experience is needed. Upon arrival, you will be greeted by the friendly staff who will help you book your flight and answer any questions. You will then be asked to fill out a waiver and will be introduced to your flight instructor. The flight instructor will teach you about the process of the flight as well as the rules and safety standards. You will be shown flying postures to acquire during the flight. A quick video will be played to first time flyers in addition to the training from the instructor. The flight instructor will then give you all necessary flying gear and show you how to properly use it. Once you begin flying, the instructor will help you get adjusted to the wind flow. Once you are accustomed to it, the instructor will help you safely fly in the wind stream. If you can fly well, the instructor will rise with you in the air up to 10 feet in height. The duration of the flight is about 40 minutes.